Swisher Sweets? The Migos? Lemon pepper wet wings? Which episode was best? The hiatus lasted well over a year, but the wait is finally, nearly over. 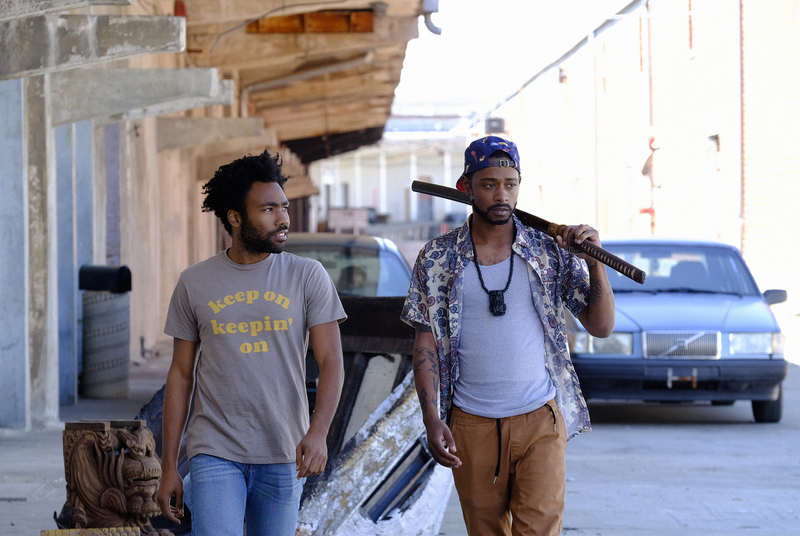 Atlanta, the Emmy- and Golden Globe-winning FX series starring renaissance man Donald Glover (“Earn”), Zazie Beetz (“Van”), Brian Tyree Henry (“Paper Boi”) and LaKeith Stanfield (“Darius”), returns Thursday with the premiere of season two. It’s dubbed “Robbin’ Season,” a direct homage to ATL slang for the time of year when robberies tend to increase: during the holiday season. This is the episode where we meet Zan, the social media troll who gets the best of Paper Boi after a series of tweets, Instagram posts and videos sullying his good name in these Atlanta streets. It’s an interesting dynamic, and one that illustrates how much people invest in social media these days. But the true crutch of the episode lies with Darius and Earn. Earn needs money because he’s broke (as hell). Darius takes on a journey to get money that involves a thrift store, pawning off a sword, and a Cane Corso dog. The only catch is Earn won’t get the money until September, prompting Earn to utter one of the more sobering realities in the first season: Poor people don’t have time to invest because they’re too busy not trying to be poor. A dope episode, but in comparison to the rest of the episodes — well, someone had to finish in 10th. This starts out with a bang, quite literally, as Paper Boi shoots a guy who kicked a side rearview mirror from his car. It was an example of how pride becomes the downfall for so many. It’s in this episode that we meet the major players. Earn’s broke and living part time with his girlfriend, Vanessa, and their daughter. Paper Boi is selling drugs and trying to get his rap career poppin’. And Darius is just Darius. And to know Darius is to love Darius. Is Earn opportunistic with regard to trying to get on with his cousin, who has a hit record in the A? Of course he is, but as we’d come to find out, he does have his cousin’s best interests at heart. On the lowest of keys, though, the best part of this episode is Earn’s reaction to Dave (a white guy) saying the N-word when describing a party he’d attended, and how Earn used the white guy’s ignorance against him and also tried to hustle him out of money to get Paper Boi’s song played on the radio. When asked to tell the same story again, but this time around Paper Boi and Darius, Dave not surprisingly omitted the N-word. We have Darius who goes to a shooting range. Everyone looks at him crazy when his target practice is a dog and not a human. He doesn’t understand how shooting a dog is considered inhumane when shooting a human is completely normal. The situation becomes so heated that the owner points a gun at Darius telling him to leave. We could get into a lot of discussion about Darius’ experience in this episode alone — it’s harrowing. At least he made us laugh, though. 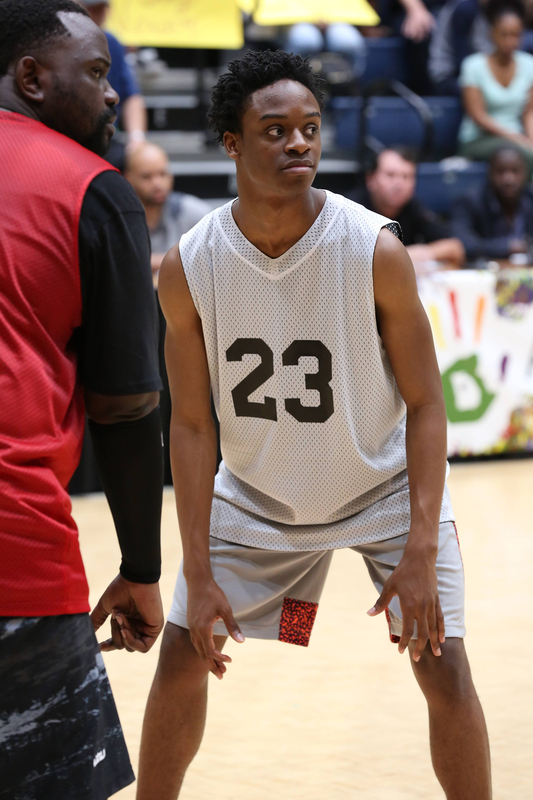 Meanwhile, across town, Earn and Paper Boi attend a celebrity basketball game. Earn is mistaken by Janice for another black guy she knew (who she says ruined her career). Earn uses the perks for a while. It’s Paper Boi who is forced to deal with Black Justin Bieber. Now I’m not saying Black Bieber is seeing eye to eye with Dave Chappelle’s “Black Bush” skit, but it’s damn close if it isn’t. We see Black Bieber doing all sorts of outlandish things: urinating in public, mushing a reporter in the face and generally acting out. Everyone thinks it’s adorable. “He’s just trying to figure it out,” the singer Lloyd says in a brief cameo. The twist is, of course, he’s black. Paper Boi and Black Bieber eventually end up fighting, but Black Bieber wins everyone back. He turns his backward cap forward. He apologizes and performs a new song right there at the news conference. Everyone instantly forgives Black Bieber while Paper Boi stands in the back wondering what the hell just happened. It’s an interesting case study: white celebrity behavior vs. black celebrity behavior. The only white person in the entire episode is Craig, and he wants to be black so bad he even did a spoken word poem to prove it. 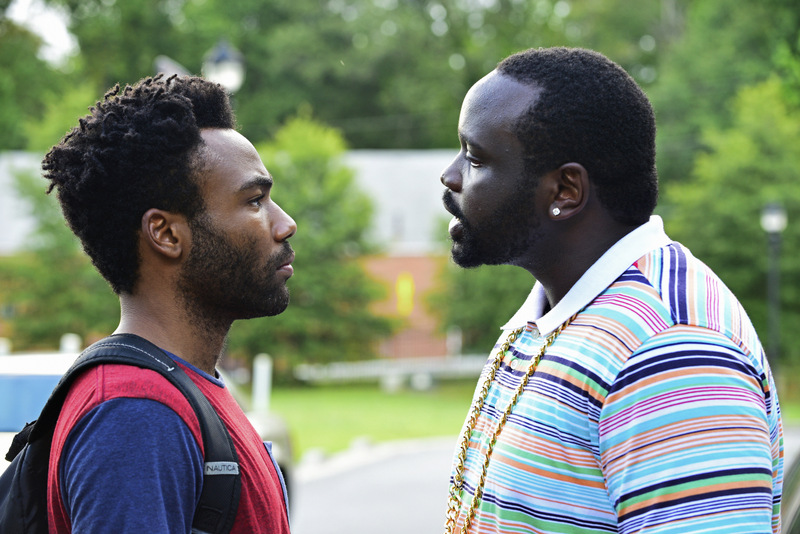 The criminal justice system is addressed here — in its own special Atlanta way. Earn and Paper Boi are still in holding following the shooting. While Paper Boi is bailed out at the beginning of the episode, Earn is locked up until Van bails him out at the end. Earn sees what it’s like from the inside. The arguments, the stories of innocence, the mentally unstable who receive anything but rehabilitation, the violence and even the drama. Earn gets a crash course in the prison-industrial complex. On the outside, Paper Boi and Darius celebrate temporary freedom with a stop at Atlanta’s famed J.R. Crickets, where they’re given lemon pepper wet chicken wings. This episode became such a hot topic that Crickets actually added lemon pepper wet to its real-life menu afterward. Paper Boi also comes to understand how his actions affect the youth: He sees kids playing with toy guns, saying they’re mimicking him — a subtle reference to Tamir Rice. Or, as it will always be remembered, the Migos episode. Quavo, Offset and Takeoff guest star as dope boys copping work from Paper Boi and Darius. The scene is hilarious, as the two attempt to get out of the situation with both the money and their lives intact. Elsewhere, Earn takes Van out to eat. Earn’s broke, so he’s expecting to see a happy hour menu, only the restaurant has recently been redesigned and everything on the menu is way too rich for Earn’s blood. Thanks to a waitress who upsells him on food and drinks all night, Earn has to call Paper Boi — in the middle of a drug deal, mind you — to wire him money so he can pay for the bill. Earn’s poverty hits home on a spiritual level. Especially when he calls his bank the next morning to report his debit card stolen. Here’s the thing to know about season one. The first half was dope, but the second half is incredible. So much so that the finale, a great episode that really brings a lot of things into perspective, is only No. 5. Earn loses his jacket at a house party and uses Paper Boi’s Snapchat. He eventually figures out he left the jacket in an Uber. The Big 3 of Earn, Paper Boi and Darius drive out to get it, only to find themselves involved in a police sting that leaves the Uber driver dead — with Earn’s jacket on. We eventually learn why it was so important to retrieve the coat. Earn is homeless. He needed the jacket because he believed a set of keys were in the pocket. The keys unlocked a storage unit where he was spending many nights. 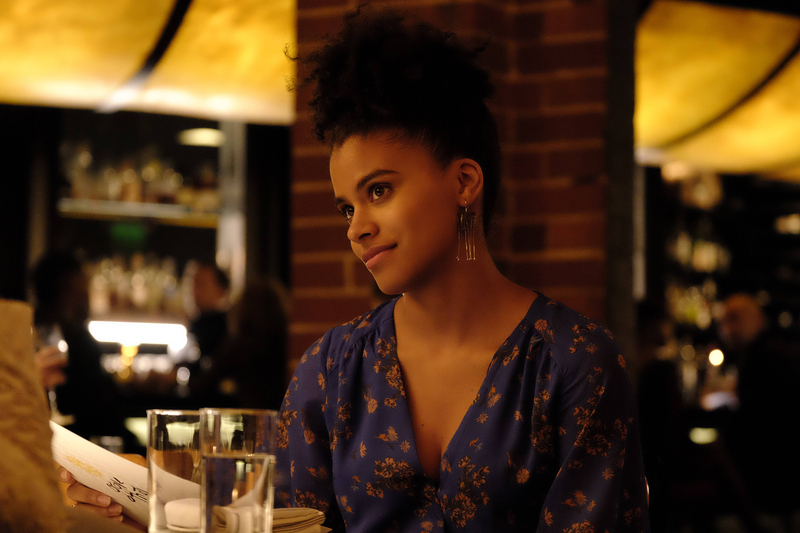 The finale is a power episode about the societal trauma of being black in America. Only hours after the same day they were pulled over by the feds and watched a man die, Earn is cooking for Van and their daughter. Pride, the same pride we saw on display in the first episode, won’t let Earn sleep at Van’s another night without being able to fully provide for his family. Prior to this, we had never seen one character carry an episode. And prior to this, we didn’t really know Van. Much like Earn, Van’s trying to figure out a lot of things. Many of which were only compounded by the most uncomfortable moment of the entire season: her dinner date with old friend Jayde. Van is more of the blue-collar, just-trying-to-provide-for-my-daughter type, while Jayde is the type to post her meals on Instagram and “date” NBA and NFL players. After a falling-out at dinner, the two make up and get high at the top of a parking deck. That’s all well and good, but Van has a drug test the next day. The most unusual and surreal scene of the entire season is Van frantically searching for clean urine — going so far as to slice open her daughter’s dirty diapers to get it. She goes full Breaking Bad in the kitchen, and it works — until it doesn’t. Van gets all the way to the goal line and fumbles. The condom with the urine, literally, pops in her face. She admits to smoking weed. She’s fired. And now both parents are without a source of consistent income. If she wasn’t already, Van instantly became a fan favorite after this episode. Sometimes you just have to get high to funnel out the nonsense in your life. And sometimes you do have to go to desperate measures to pass a drug test. A lot of people put this in their top two — and I’m not mad at that. The episode starts off with Earn waking up beside another woman, only to realize he’s late to meet up with Van. She picks him up outside the unnamed woman’s apartment and the two ride off, in virtual silence, to a Juneteenth party her ostentatious friend Monique is throwing with her annoyingly hilarious white husband who’s too woke for his own good. Van and Earn front like they’re married in an effort to look better in front of new company. But it’s impossible in a house full of characters — and a house full of black workers. In fact, the only white person in the entire episode is Craig, and he wants to be black so bad he even did a spoken word poem to prove it. The couple is outed when two valets recognize Earn as Paper Boi’s manager. Monique frowns upon his line of work, causing Craig to check Monique, but by then it’s too late. Earn leaves in disgust with Van not far behind. The lesson? Never sell your soul for an opportunity that wasn’t meant for you to begin with. Fun Fact: If you go back and watch the episode, you’ll find Childish Gambino’s Awaken, My Love! album cover in Craig’s study. We just didn’t know what it was at the time. Now if we’re talking my favorite episode, it’s this one. 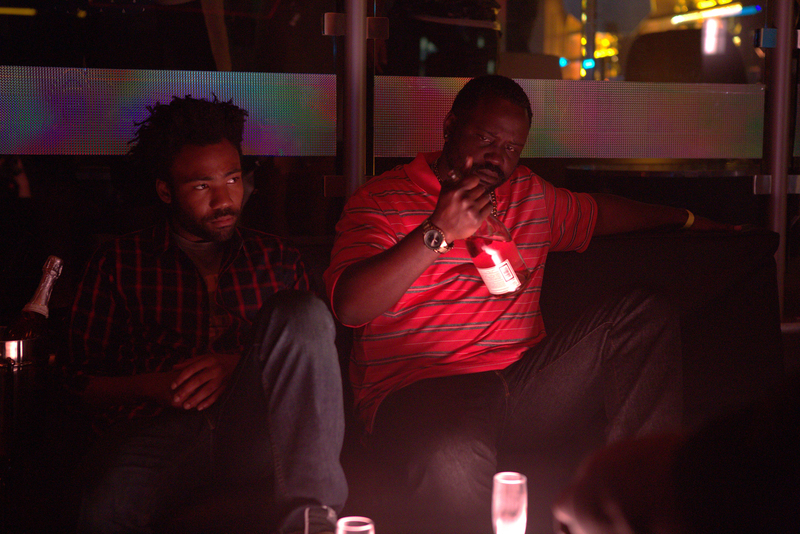 Classic Atlanta in every sense of the words. The theme is as simple as it is true. The club really isn’t all that fun. The celebrities are paid to be there. For those in gen pop (aka, non-VIP) it’s all a game of territory — sections are the highest form of real estate, and bottles are the highest form of cultural currency. Everyone’s just trying to one-up each other. We really remember this episode for three solid reasons. One, for Marcus Miles’ invisible car. Two, for Earn’s unsuccessful attempt to get their club appearance money from a snake promoter (and then Paper Boi roughing up that same party promoter). And three, for Darius leaving the club after he wasn’t allowed back in the same section the bouncer saw him leave. Darius played the situation perfectly. He went home to eat cereal and play video games. The theme is as simple as it is true. The club really isn’t all that fun. An episode so good that even the commercials, in actuality part of the episode, deserve their own separate piece. Seriously, the Swisher Sweets and Dodge Charger commercials made this an instant classic in black television history. As for the episode itself, Paper Boi sits down with Dr. Debra Holt on Black American News’ Montague. After some comments he made on Twitter about Caitlyn Jenner, Paper Boi is accused on the show of being transphobic. He claims he isn’t, saying he doesn’t have anything against the community. Although he’s accused of it, Paper Boi says he never said the trans community shouldn’t have rights. But he finds it hard to fully support that community’s call for freedom when people who look like him are still fighting for theirs. Much to the chagrin of the host, the two come to an understanding. The “trans-racial” story runs away with MVP honors in this episode as it follows Antoine Smalls, an obviously black male who identifies as Harrison Booth, a 35-year-old white man from Colorado. He’s invited on the show, where he quickly shocks the host and guest. Smalls says he feels deeply ridiculed by black people for not being more understanding of his lifestyle. But he’s also quick to call gay marriage an “abomination.” The hypocrisy is enough to send an already tickled Paper Boi over the edge in laughter, while Montague and Dr. Holt are left to wonder, whereas the rest of us knew, almost as soon as the credits began rolling — this was Atlanta’s magnum opus.